Apologies for this belated review as I actually started this trial more than a month ago. Sadly, being really ill took its toll and interrupted my new Your Good Skin routine. For weeks, I struggled to get out of bed, and sometimes couldn’t even stand up long enough to have a shower (let alone keep up with a beauty regime!). What’s more frustrating – I was only a few days away from completing the challenge! Be that as it may, I reckon I did do it long enough to find out if the above products work well on my skin. To be absolutely certain, I resumed use of them (for another week or so) as soon as I felt better. This 28-Day Challenge puts the spotlight on the Balancing Skin Concentrate as it was launched only quite recently. However, it is best used in conjunction with other Your Good Skin products. I think I may have previously blogged that I’m not particularly keen on wipe-off cleansers, but I chose this to complement the other Your Good Skin items because I was worried the toner I received, in addition to a face wash, would be too drying. As expected, I did not get that tight feeling on my face after using this cleanser. The cream is quite thick and goes a bit paste-like when applied to dry skin (as per instructions) which means it does not glide on smoothly. As a cloth cleanser doesn’t usually foam up, I had to use more product than one that rinses off. There’s not much of a fragrance, and as far as I could tell, the cleansing was thorough as the toner-soaked cotton pad did not pick up any dirt or residue after this. It’s probably best to mention that my typical mode is makeup-free, so I am not sure how efficient this would be for someone who regularly uses cosmetics. Again, not something I am in the habit of using as my regular face wash gets splashed off with cool water anyway. In spite of that, I do feel that this works brilliantly with the Hot Cloth Cleanser and Balancing Skin Concentrate. 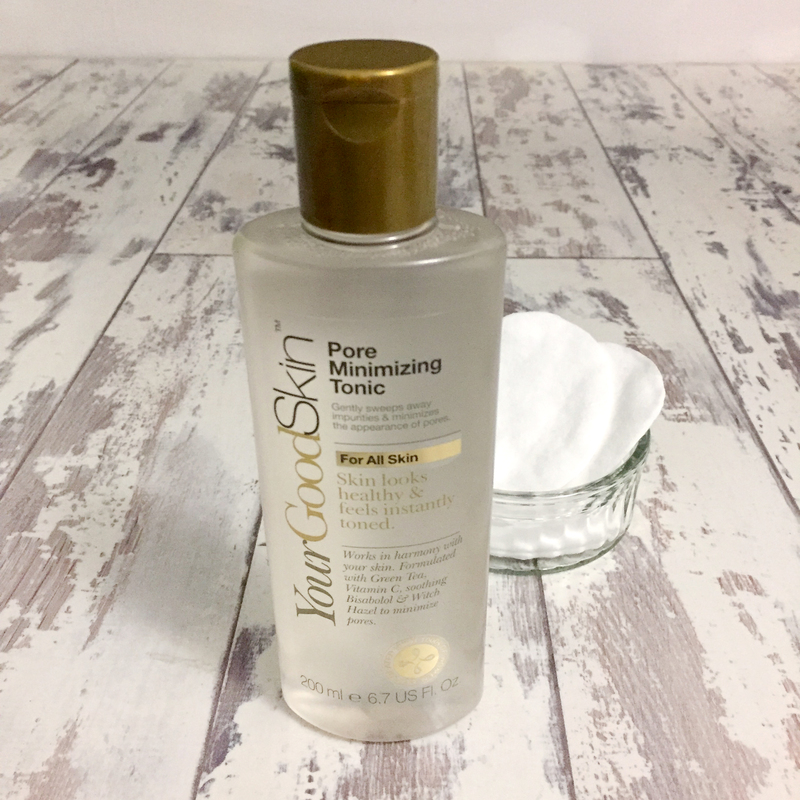 Although the shrinking effect on my pores was only temporary (this is true for all astringent toners no matter the spiel), they did seem less congested, and there was a light fresh sensation on my face after applying this. It can feel a little warm and tingly at first, but that’s most likely down to the ingredients getting to work, and the Pore Minimizing Tonic is otherwise quite gentle. The only criticism I have of this particular product is the smell…It is a little sickly, but fortunately, it doesn’t last and isn’t overpowering, so this is just a minor complaint. 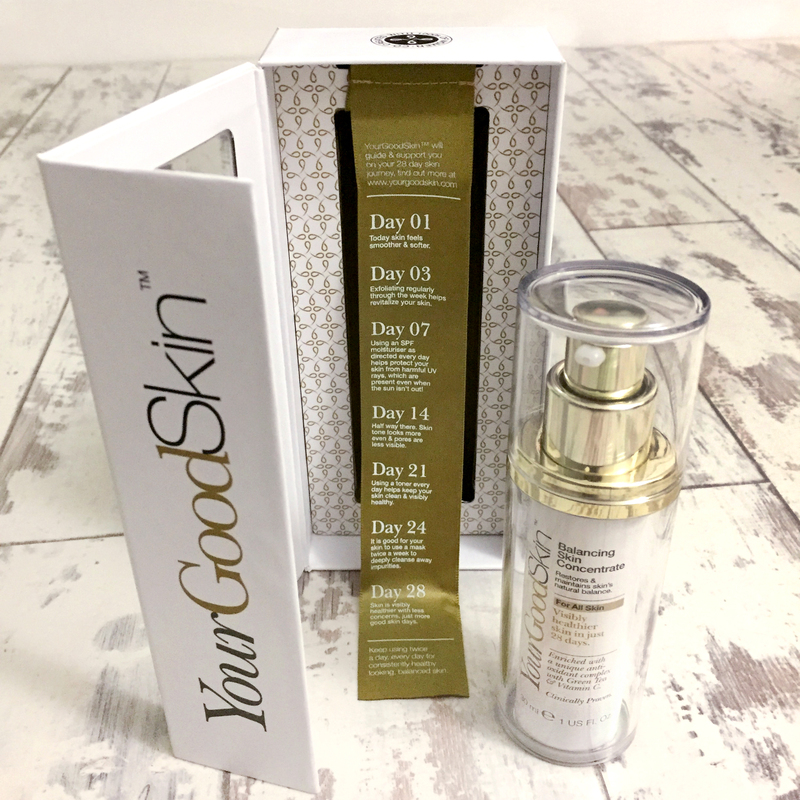 This serum is the main feature of this challenge and is meant to restore natural balance and “improve the 5 key signs of visibly healthy skin”. The trouble is, I can’t actually figure out if the Balancing Skin Concentrate on its own would have made any difference as I did not use it in isolation. 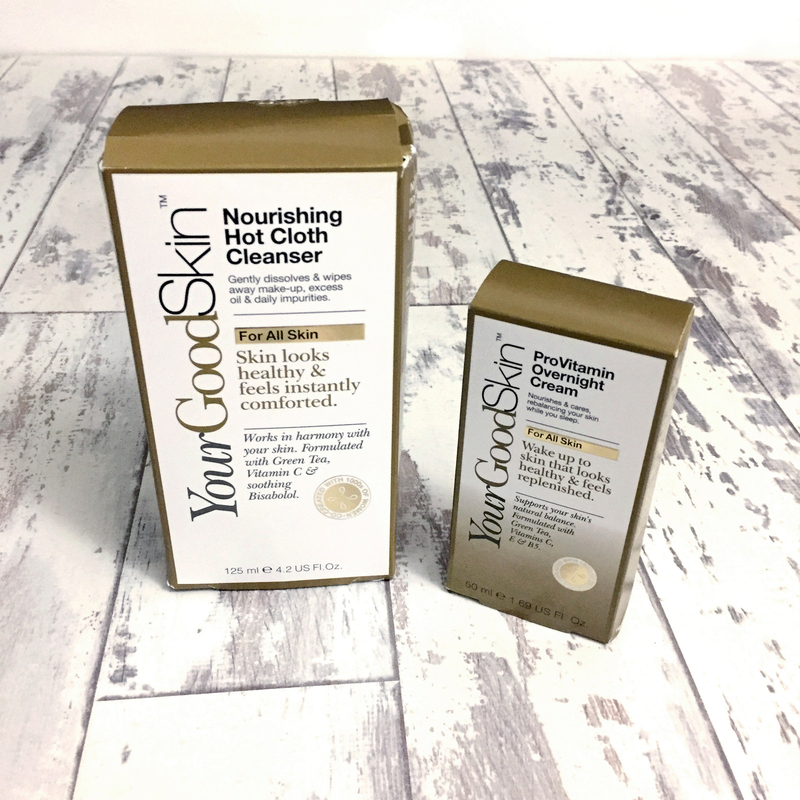 Yes, my skin did look a little less dull immediately after application, and felt softer as well, but those results could also be attributed to the cleanser and toner. (I will come to the moisturiser in a moment.) This is why I mentioned earlier that these three – cleanser, toner and serum – perform well in unison. I found this concentrate easy to apply…A couple of pumps (as per recommendation) is enough to cover all my face, and it absorbs quickly into the skin. The fragrance is also quite pleasant. I am not really convinced that it regulates oil though. The parts of my face that tend to shine continue to radiate…less “like a diamond” and more like greasy pan after a fry-up. 😀 At first I thought it was the Overnight Cream doing it, so I experimented with a more lightweight moisturiser for a few days. Sadly, it did not produce a different result. 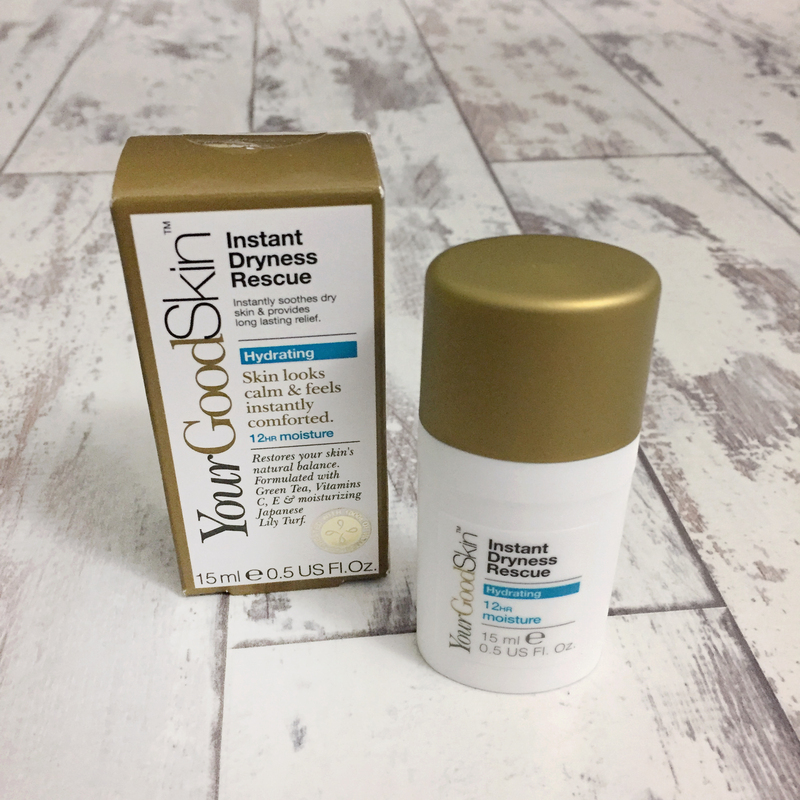 There is a day-time moisturiser available from Your Good Skin that comes with SPF 30, but because I prefer to use my own HG sunscreen, I got the night-time one instead. The consistency of the Overnight Cream is thick and rather rich (I assume the Anti-Oxidant Day Cream is less so). It doesn’t spread on skin very well, leaving a tacky film that takes quite awhile to absorb. To be fair, it is meant to be applied before bedtime, and has kept my combination skin fairly hydrated. The shine factor is (unsurprisingly) high, but I don’t mind that since my sunscreen has mattifying properties (for those times when I am out and about), and at night…well…I’m going to sleep anyway, so who cares what I look like, right? Since I rarely wear makeup, I did not have much of an opportunity to use this apart from the one occasion when I tested the Marc Jacobs Beauty Matte Highliner from my first VoxBox. On that day, I had a full face on so I could take some nice photos to show off my new eye crayons. 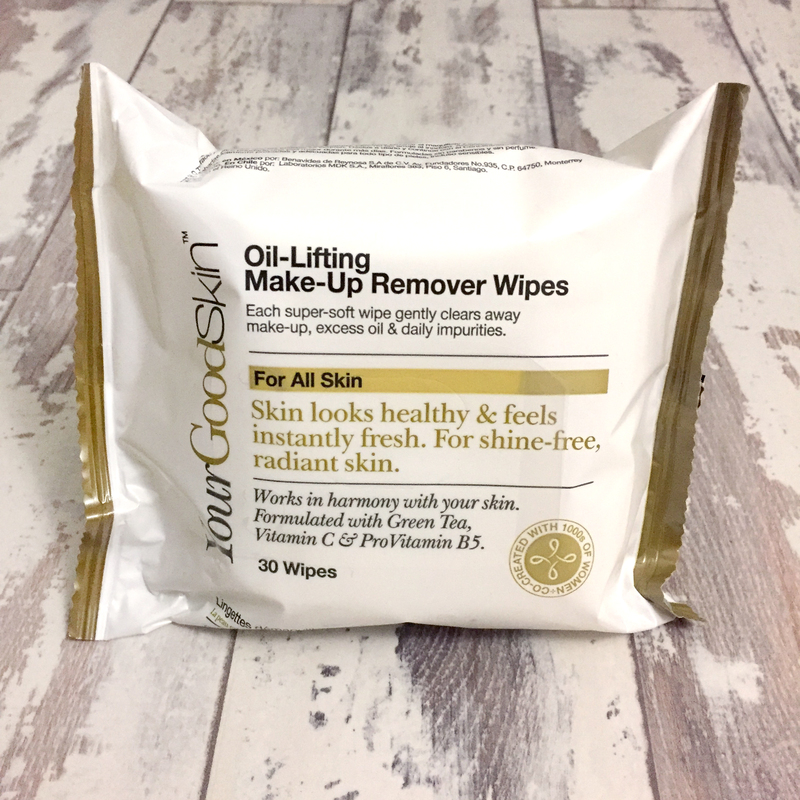 These wipes managed to rid my skin of most makeup except for what I had on my eyelids, but I suspect the problem lies in the Highliner which is heavily pigmented. I’d say these wipes are about average, and not much better or worse than others I’ve tried, including the really cheap ones from pound shops. Besides, I always follow up with a proper cleanser, and would never rely on makeup remover alone so that I can wake up the next day with pores as gunk-free as possible! Skin needs a bit of extra help during the winter months, so this came in handy a few times during the challenge. Nonetheless, claims that it provides instant relief and remains effective for 12 hours is a bit of an exaggeration. I often get scaly patches on my face when the weather turns cold, and dabbing this cream on affected areas did soothe it somewhat. It’s a good job the bottle is travel-sized, and doesn’t take up much room in my handbag, because I had to keep applying it quite a few times throughout the day. Whilst the Rescue Balm did keep some of the flakiness at bay, it never quite eliminated the problem. Eventually, I had to switch to the Aurelia moisturisers left over from a previous review, and that soon put my dry skin woes to an end. All images were taken within an hour after application. To demonstrate what I mean about how the Balancing Concentrate doesn’t do much to keep the shine under control, I took the last picture before putting on my mattifying sunscreen. It’s pretty obvious there is quite a contrast between that and the other two. Contrary to what can be seen in the photos, my skin actually had the same colouring and tone (including blotchiness) on all days. I’m not sure why it had a pinker cast in the first two. I’m no expert, but according to my photographer hubby David, it might be to do with my phone’s white balance. These products are decent all-rounders. Granted, they do not perform miracles, but they were satisfactory in generally keeping my skin in good condition. Considering how ill I was during the challenge (and during the height of winter too! ), I’d have expected my complexion to be far worse, but was pleasantly surprised that its health was maintained (as advertised). Being more middle-aged than millennial, I am of course worried about the impact of ageing. However, I suffered from severe acne in my younger days, and though I did finally overcome it, I can never shake off the paranoia whenever a breakout occurs. I’ll admit I got the odd spot whilst using Your Good Skin. Nothing to lose sleep over…And it was probably down to hormones, what with it being my time of the month. I doubt any lotions and potions can put a stop to that! My skin is on the sensitive side, so not having to deal with any huge angry ‘eruptions’ on my face is a big plus! If you’re looking for something to address specific issues (such as wrinkles, scars, age spots, etc), you’ll find more success in other products specially dedicated to those concerns, or possibly more invasive procedures (like laser, peeling, or derma-rolling, etc). That said, Your Good Skin does have a wide selection of skincare, so there’s a chance one or two items in the range could boost your existing treatments. Would I buy any of them? The Pore Minimizing Tonic gets a definite “yes” from me, and it’s a “maybe” for the Nourishing Hot Cloth Cleanser and Balancing Skin Concentrate (mainly because I am currently using something else I like). 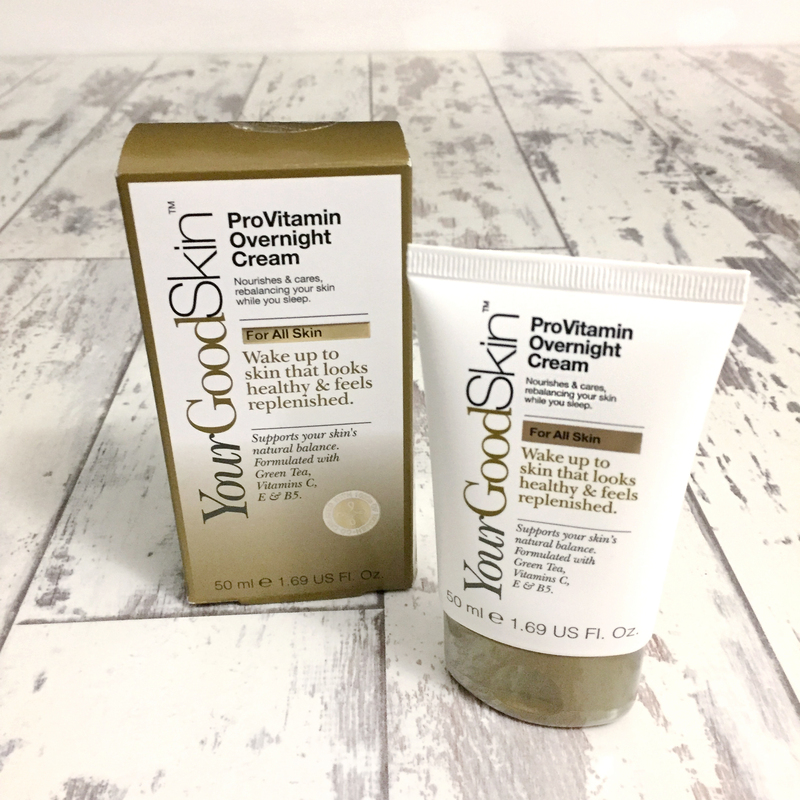 Everything from the Your Good Skin range is very affordable, and that’s one of its biggest draws. Majority of the products are under ten pounds, and some even less than a fiver. With all of them being such good value for money, I think this brand is worth a punt at least. Posted in Beauty, Lifestyle and tagged 28 Day Challenge, Beauty Review, complimentary products, freebies, Good Skin Days, product discovery, product review, review, Skincare, Social Media Campaign, Your Good Skin. Bookmark the permalink.